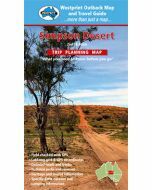 This is the revised Simpson Desert Map designed for Trip Planning use. 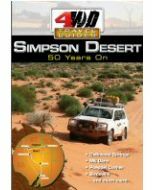 On one side is the map containing GPS points, whilst on the other is information about each point of interest, track information and services available. 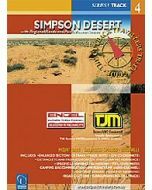 A SA Desert Parks Pass permit is necessary to drive across the desert. You can also purchase a day permit on site at the ranger station if just camping at Dalhousie Springs.